wordless wednesday: on the line | i made it so. ← i love gift cards. 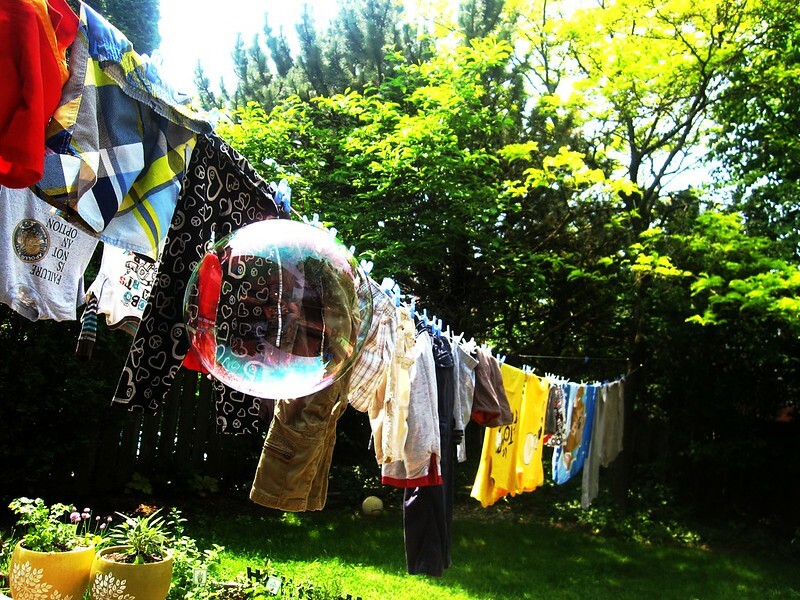 This entry was posted in around the house, wordless wednesday and tagged bubble floating by, clothes on the line, wordless wednesday. Bookmark the permalink. haha, no it’s real :) courtesy of a little one blowing bubbles off to the side. Very cool! Looks like Glinda (Good Witch of the South) is coming for a visit. and you captured a perfect bubble too! Happy fresh air Wednesday dear Ana! :) that was a souvenir from someone who’d been to the kennedy space center. Wow! That is an incredible shot, Ana! Beautiful and symbolic. No words necessary. I just want you to know I nominated you for a Versatile Blogger Award. If you choose to accept this, there are details about putting it on your blog here: http://knitthehellout.com/2012/06/06/versatility/ If not, just accept it as a compliment. Have a great day!